On the 26th March 2009 I gave a presentation at the Basingstoke Astronomical Society showing the audio/visual presentation I gave to the DDAS at the beginning of the month (The Music of the Heavens). It went very well indeed. Mind you, the best bit was having a break half way through to go outside to watch the ISS fly over as it was due to pass at about 20:00hrs. We all trooped out to watch the flyby and were gifted a bonus - about 30 seconds in front of it was the Space Shuttle (STS119) which had seperated from the ISS the previous day and was flying in tandem. Unfortunately, I didn't have my camera to hand for the fly by! Shame! 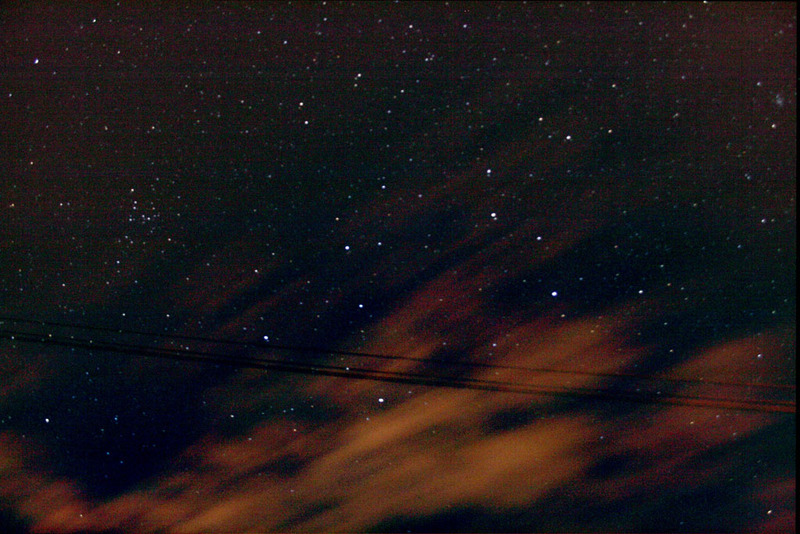 Anyway after the meeting I did manage to snap a couple of images at the post-meeting observing session. 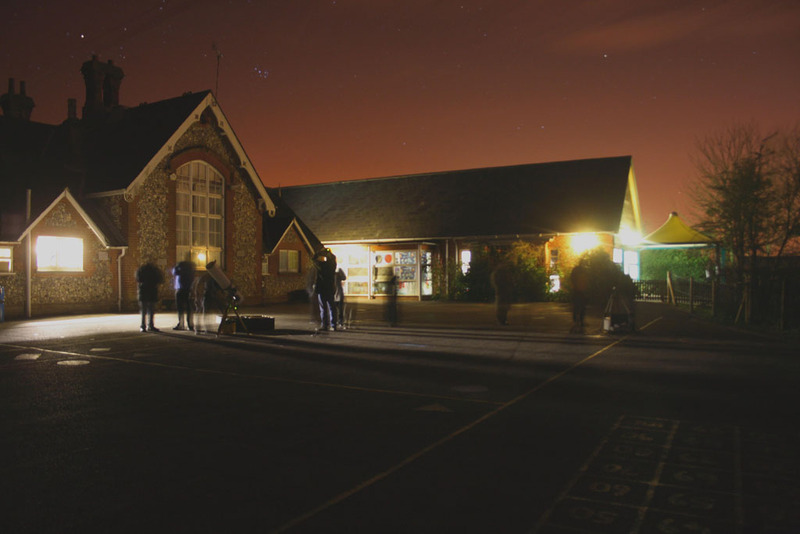 One is a time exposure of the assembled scopes on the school playground (the meeting was held in the school hall) and shows the Pleiades and Aldebaran just above the school roof. The other image is a slightly out of focus one of Leo-Saturn-Coma Berenices (no LPS filter needed due to the wonderful dark skies at the site!). 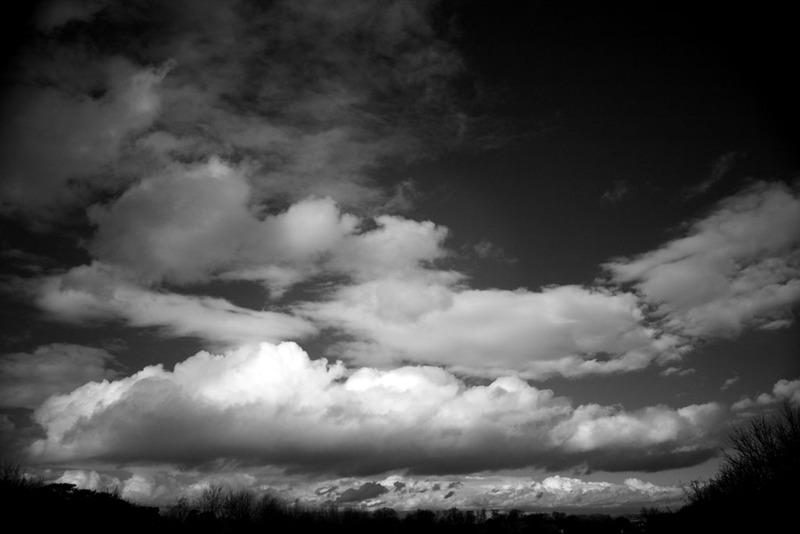 Also during the day I managed to capture a dramatic picture of cloud formation over Basingstoke using my Canon 400D and an infrared filter (the camera was set in B&W mode).